The Board of Directors of the Sonoma County Winegrowers (SCW) is pleased to announce that Karissa Kruse has accepted the position of President, replacing Nick Frey as he retires. Karissa will assume the role as of May 1, 2013. Nick will stay on in a reduced capacity through the end of 2013 to ensure a smooth transition and support Karissa and the Board as an advisor. 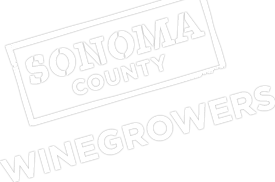 This promotion brings to completion an 18-month recruiting and succession planning process for the Sonoma County Winegrowers who recruited Karissa for the Marketing Director role in August of 2012. During the exhaustive search and her interview process, the Search Committee and the Board knew that they had found someone special who had the potential to replace Nick Frey. As Nick’s retirement process began the Executive Committee and a 5-person task force interviewed Karissa as an internal candidate before making a decision to open the position broadly. With a unanimous recommendation to promote Karissa, the Board is confident that she is the right person to lead the grower community. In her short tenure as Marketing Director, Karissa has developed an 18-month strategic plan, undertook the leadership of a community outreach program, and has developed relationships with Sonoma County Tourism and Vintners and many in the growing community. Karissa comes to the SCW with an MBA in Marketing from Wharton School of Business and a BA in Economics from the same. She has worked for companies such as General Mills, Universal Studios and Dairy Management, in which she worked for 7 years on behalf of dairy farmers nationally. She is the owner of a 25 acre parcel in Bennett Valley, with 5 acres planted to grapes. Karissa understands the needs and concerns of growers, being one herself. Karissa brings a wealth of knowledge and energy to the position.